The CD4029B consists of a four-stage binary or BCD-decade up/down counter with provisions for look-ahead carry in both counting modes. The inputs consist of a single CLOCK, CARRY-IN\ (CLOCK ENABLE\), BINARY/DECADE, UP/DOWN, PRESET ENABLE, and four individual JAN signals, Q1, Q2, Q3, Q4 and a CARRY OUT signal are provided as outputs. Medium-speed operation… 8 MHz (typ.) @ CL = 50 pF and VDD–VSS = 10 V.
Multi-package parallel clocking for synchronous high speed output response or ripple clocking for slow clock input rise and fall times. "Preset Enable" and individual "Jam" inputs provided. Binary or decade up/down counting. BCD outputs in decade mode. Maximum input current of 1 µA at 18 V over full package-temperature range; 100 nA at 18 V and 25°C. 1 V at VDD = 5 V.
2 V at VDD = 10 V .
2.5 V at VDD = 15 V.
Programmable binary and decade counting/frequency synthesizers-BCD output. 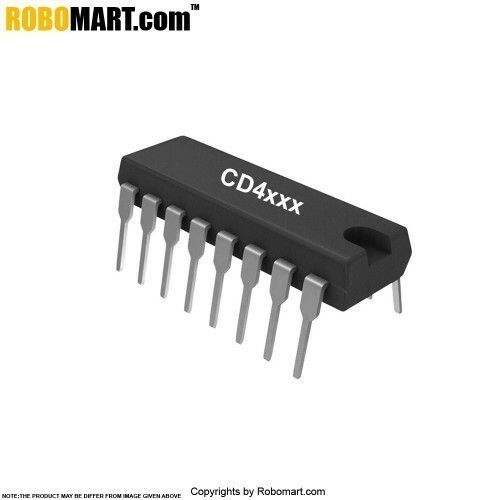 Also Searched as : cd4029 counter circuit, cd4029 schematic, cd4029 circuits, cd4029 datasheet, fairchild cd4029, cd4029 pinout.